I have always wanted to eat here. I knew the food was going to be average, I knew it was exactly like Cheesecake Factory inside and out, and I knew there still would be a wait. Despite these foreseen events, I still wanted to go. I mean, its Grand Lux Cafe. It is what Las Vegasians don’t eat (Yes, you read that right, Las Vegasians. Is that not the right term?) and what everyone else visiting Las Vegas do eat. It is open 24 hours and is probably the busiest restaurants on the strip. I came ate here not knowing they opened one up in LA inside Beverly Center. I had to try it once at least, where it all started. 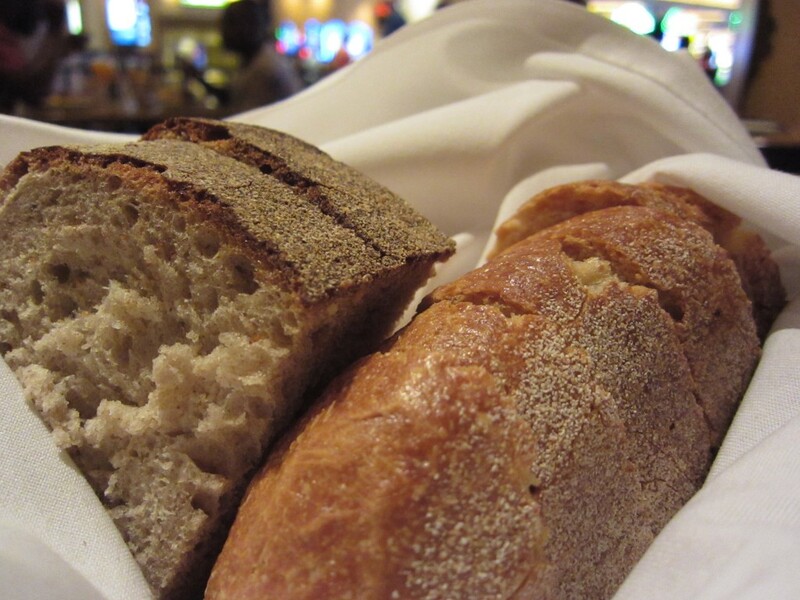 Just like the people at Cheesecake, complimentary bread and butter was served. Thankfully, it wasn’t white and pumpernickel. The bread was a great start as always. 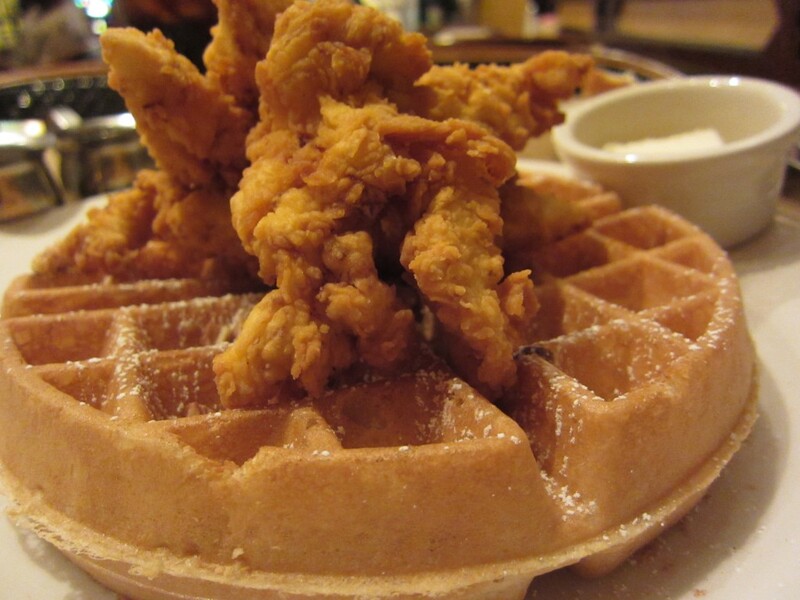 I ordered the fried chicken and waffles. I couldn’t decide between lunch and breakfast, so I had brunch. Before heading back to LA, I had to get some Roscoe’s-esque chicken and waffles. Though this dish didn’t come close, the fried chicken strips were crispy. The pecan honey butter sauce was good on the waffle which was also light and crispy. 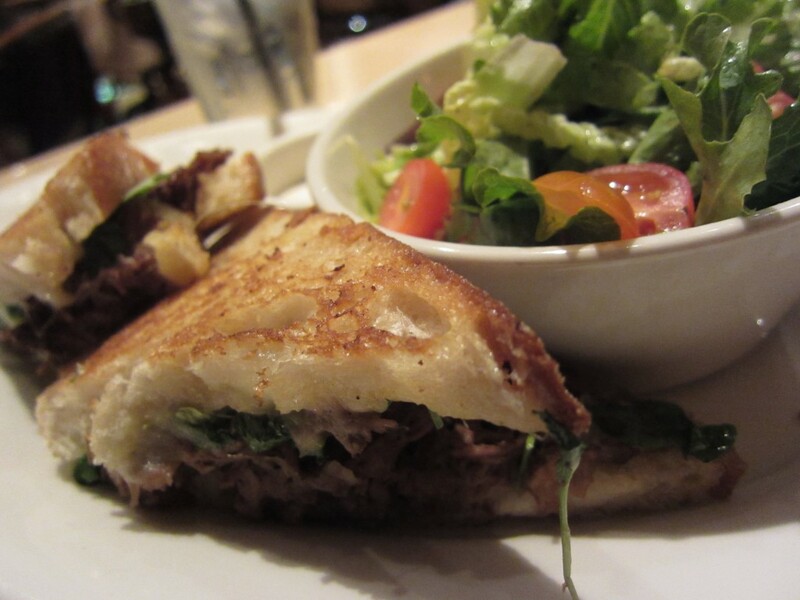 I also tried the short rib grilled cheese sandwich. 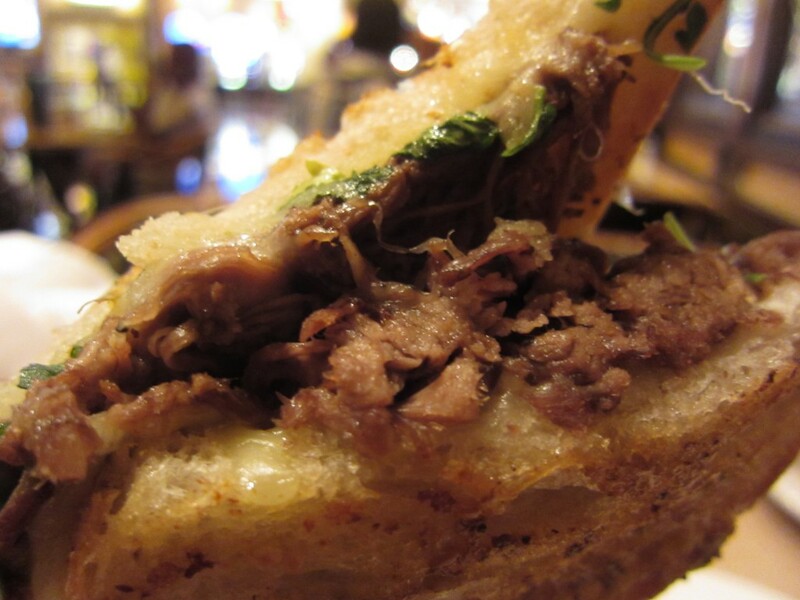 It had slow roasted short rib slices, caramelized and picked onion,s arugula, and melted cheese. It was a solid sandwich and tasted really good. It was rich in flavor and the side salad was a great companion. The flavor was nicely balanced. 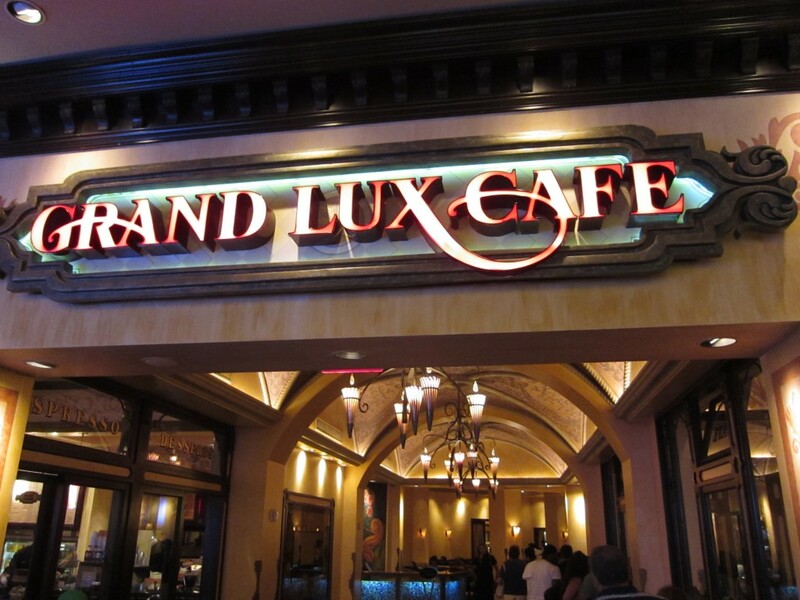 It was a pleasure trying the food at Grand Lux Cafe. Having heavy influences from Cheesecake Factory, the similarities are evident. The food is consistently good and the price is always even better. 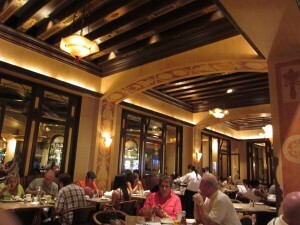 Gran Lux Cafe, attracts the masses. 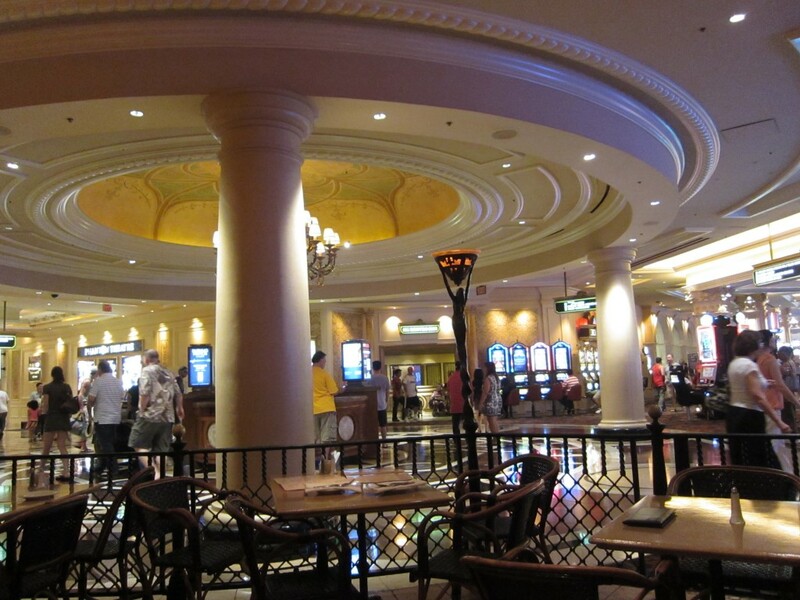 The gamblers, clubbers, families, and older couples all eat here. What you end up here is a standard meal for a decent price. 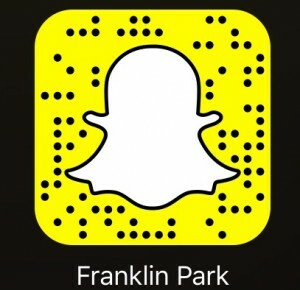 You get a little something for everyone.